General registration for golfers includes admittance to awards dinner. 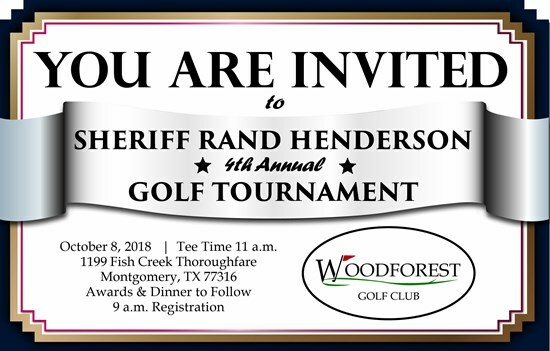 If making payment by check, please make out to Rand Henderson Campaign, PO Box 1678, Conroe, TX 77305 and be sure to include your full name, phone number, e-mail and mailing address. In order to receive full benefit for your sponsorship, registration form and payment must be received no later than September 21, 2018. For questions or more information, please contact 281-548-8578 or campaign@randhenderson.org.